Heart of England Master Thatchers offers thatched-roof repairs in Nottingham as well as fast roof repairs across Nottinghamshire. We provide general repairs as well as emergency repairs as we know it can be worrying knowing you have a damaged roof, it is ultimately what keeps you and your family safe. Animals – Small animals and birds enjoy thatched roofs as they are the perfect nesting – not so great for the owner to deal with. Preventing damage such as holes in your roof is easy with a simple installation of narrow mesh netting. Fire – Thatched roof fires are due to different causes such as if you have a faulty chimney or even a faulty thatch, it can cause the straw to ignite and can cause severe damage if this is the case you may need a full roof re-thatch. Leaking – Having a leak, big or small, can cause a lot more damage than you might think. The quicker you can find the where the leak is coming from the more of your roof you can save from damage. Moss – When there’s moisture on you thatched roof the more likely moss will grow, for example when you have a leak. Nature – Keeping trees and bushes that grow near your thatched roof maintained is very important as branches can cause damage to your roof, especially in harsh weathers and high winds. Repairing holes – Holes can appear in your thatched roof due to many different causes. We located these holes and repair them where needed. Dressing Up – Once we have fixed your roof, we will dress up your roof, which is when we knock any loose straw back into place and evened up. Brushing Down – We brush off any straw and material that is loose and replace it if necessary. 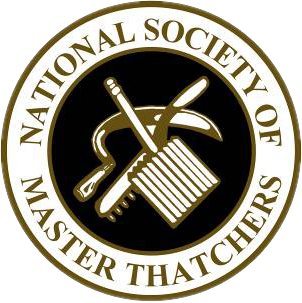 Heart of England Master Thatchers offers high-quality thatch repairs across Nottinghamshire. We have many years’ experience in thatching and have a team of qualified professionals. We work quickly to find the cause of the damage to your roof and find the best solution for your roof making sure any damage doesn’t spread. If you leave your damaged roof untreated, the problem can get worse and the condition of your thatched roof will deteriorate and you might need a full re-thatch. Whether the repair needed is big or small, we provide thatched roof repairs in Nottingham or across Nottinghamshire, get in touch with Heart of England Master Thatchers today, or if you need an emergency thatch repair call 0116 62 899 099.